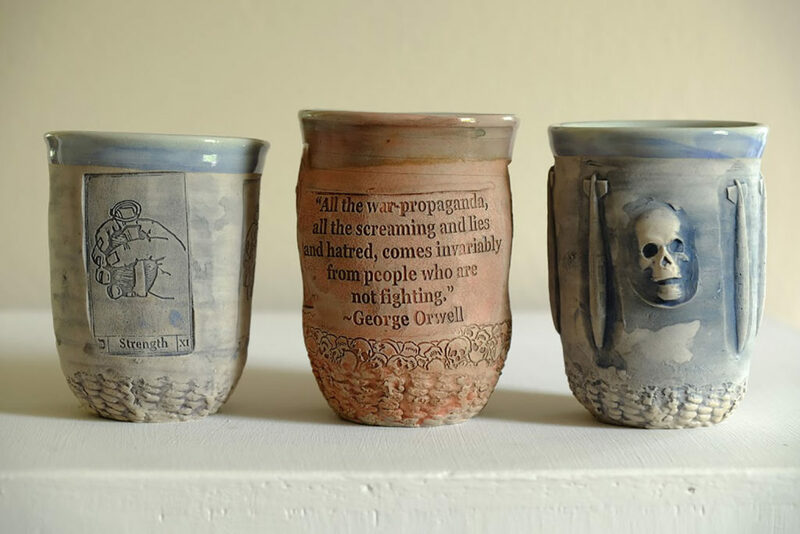 I hope that some of the cups can be starting points for conversations about unspeakable things…about war and its causes. The Arts Council and the Keith M. Bertken Veterans of Foreign War Post 6042 were pleased to present an installation by Ehren Tool as part of our continuing commitment to programming that addresses equity, access, and opportunity through project that support veterans, active military, and their families and are sensitive and responsive to their unique experiences. 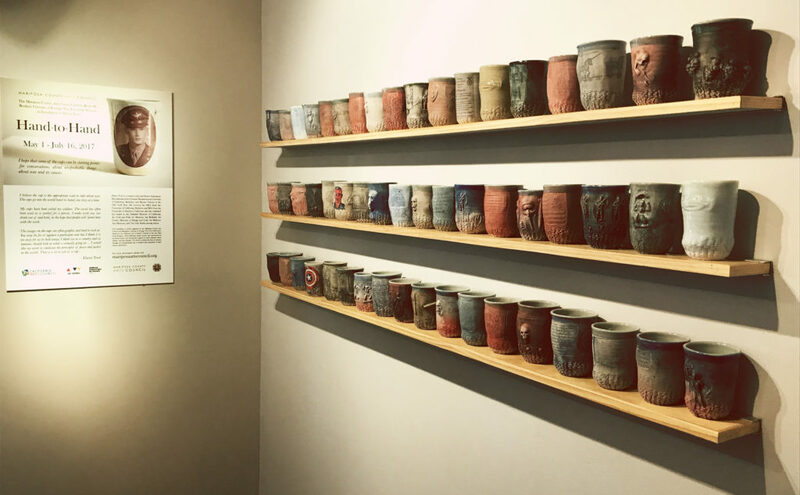 This installation of over 200 cups addresses a wide spectrum of issues and concerns facing veterans and service people. 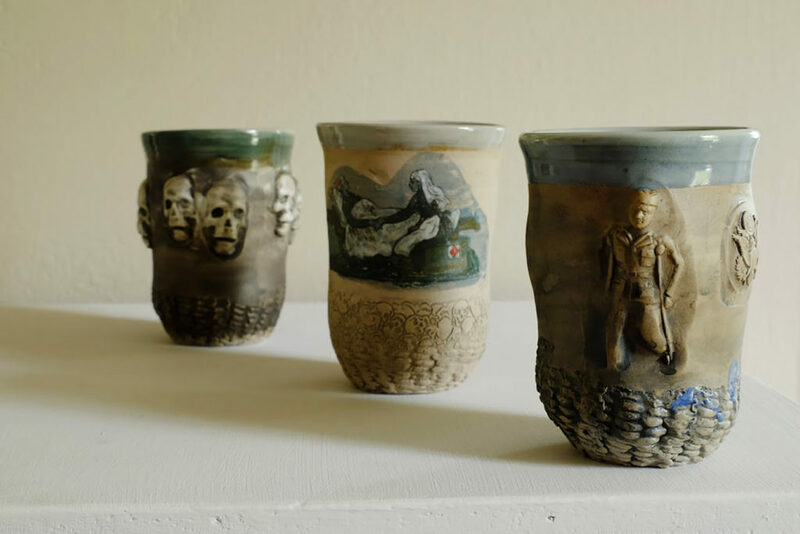 Additionally, many local veterans submitted photographs, thoughts, and images of personal artifacts which Tool fired onto cups and incorporated throughout the installation. I believe the cup is the appropriate scale to talk about war. The cups go into the world hand-to-hand, one story at a time. My cups have been called my soldiers. The vessel has often been used as a symbol for a person. 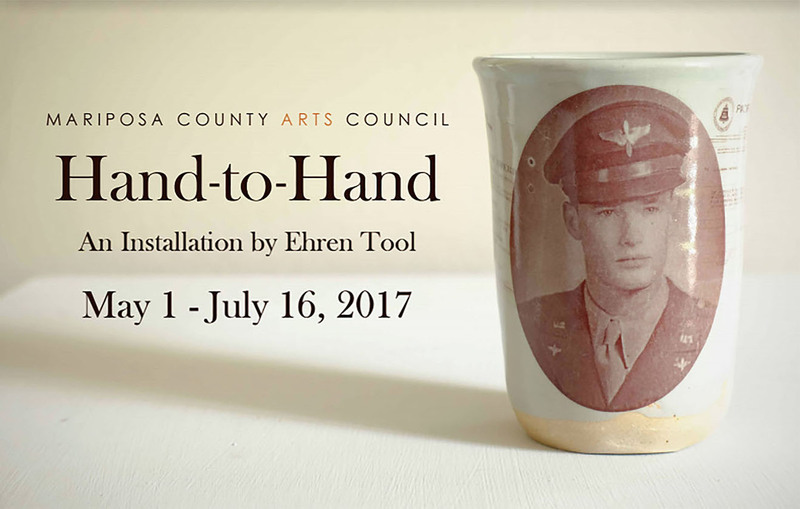 Ehren Tool is a ceramic artist and Senior Laboratory Mechanician at the Ceramic Department at University of California, Berkeley, and Marine Veteran of the 1991 Gulf War. 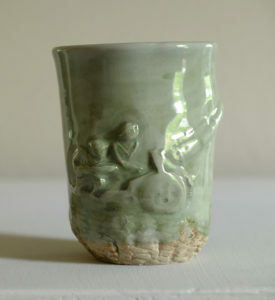 He received his MFA from the University of California, Berkeley and BFA from the University of Southern California and has exhibited his vessels at the Oakland Museum of California, the Craft and Folk Art Museum, the Berkeley Art Center, Museum of Design and Craft, the Bellevue Arts Museum, and The Clay Studio among others. See PBS’ Craft In America’s Service Episode featured to Ehren Tool. This installation is funded by the California Arts Council’s Veterans in the Arts Pilot Grant Program.